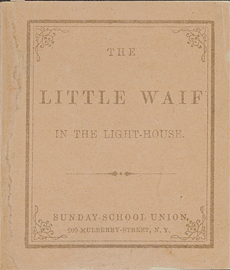 The little waif in the light-house. First sentence: "The light-house stood on a strip of land that ran out into the sea." Copy in McGill Library's Rare Books and Special Collections: orange wrappers. I. Mackenzie. Montreal. May/62. $20.00 (for set of 11). Given to McGill 2001.